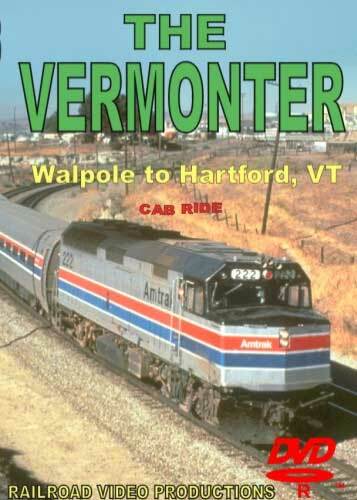 Climb aboard the cab of an Amtrak F40-PH diesel engine for a "Head-End" ride through the picturesque New England countryside from Walpole, NH to Hartford, VT. We begin at Walpole (Brattleboro to Walpole is covered on tape No.122) and continue north on the New England Central Railroad passing Charlestown, Springfield, Claremont Junction, Windsor, Hartland, Evarts and White River Junction before arriving at Hartford. In-cab conversation referring to locations and other points of interest is provided. This program was taped in March of 1997.